Minnesota Vikings general manager Rick Spielman would like to be in a position where a difficult decision needs to be made at quarterback by the end of the 2017 season. Spielman would like to have options with regards to current starter Sam Bradford and former number one Teddy Bridgewater, who is battling back from a career-threatening knee injury that wiped out his 2016 campaign. Spielman paid tribute to both his passers during our chat at Vikings training camp on Monday. Bradford was working on one field with the number one offense, while Bridgewater was cutting a lonesome figure jogging on his own on the adjacent pitch. 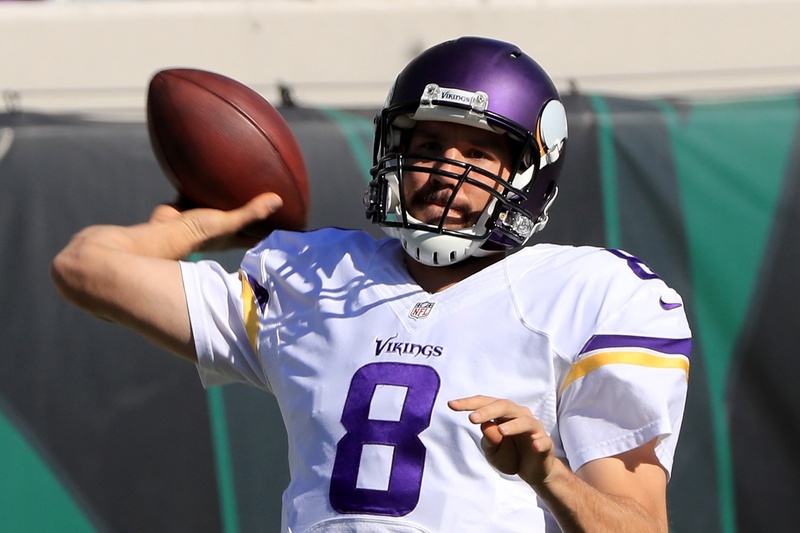 “Think about what Sam Bradford had to do last season,” Spielman explained. “He had never been around this team, had never heard a play call and didn’t know our system. For him to learn that offense and manage through so much adversity having only been here a short time was something that was really difficult to do. Watching him throughout the offseason in OTAs, mini-camp and now training camp – Sam has been phenomenal and we’re expecting a big year out of him.